A very well respected specialist advised me 'not to worry,to stop scaring myself with internet stories of failures' when I spoke with them to discuss preventive work...shortly after this my engine shat itself ! Everything has to be taken in context though right? There are thousands of 996s / 986s out there as they were produced in much higher numbers than previous generations and statistically you are going to see a larger number of car experiencing various problems including engine failures. Ditto as there are such a large number of these cars and the low prices that they have historically changed hands for there are a large number of ropey cars out there that perhaps haven't been very well looked after, skipping a service here and there, incorrect oil used during a change etc. I've owned various 944s over the last 15 or so years and everyone always likes to point out the potential issues with waterpump and cam / balance belt failure which generates a lot of income for waterpump re-manufacturers as a large number of people change the pump / tensioners every other belt change. If I had to carry an extra £10k around with me in case of a potential engine failure I don't think I'd ever buy a 996. Also I think you hit the nail on the head - there are a large number of specialist who make a living on engine rebuilds and I'd wonder how many are preventative rebuilds versus complete engine failure. There are some confused arguments circling now which is distorting the issue. The 996 engine is the first of a generation of new engines that Porsche produced with inherent weakneses. IMS bearing failure and borescoring IS A HUGE RISK of a costly failure which cannot be ignored like those who have yet to experience it portray it. The 996 is a cheap sports car when you consider its performance, it is cheap because the market has 'priced in' this major potential failure. Compared to other marques, failure of waterpumps, camshafts etc etc, these are minor and relatively inexpensive to repair compared to having to break open a 996 engine. If you buy with your eyes open, and put away £10K insurance, you should enjoy the ownership of a 996. As others have said, there is nothing special about a 996. They are an interesting car because of its engine location with a unique layout of its cylinders. I bought to experience this and was impressed with its driving characteristics to have kept it for 10 years, but now ready for a change. I find the 996 like most German cars, a bit soulless and characterless, compared to say the equivalent Italian cars, but they are at higher price point. Perhaps another reason, along with the large relative numbers, that 996s are cost effective. Wasz I think said that there is nothing to compare pricewise to a 996. I have a friend who has an M6 V10 - 507bhp for £14K! People are frightened by the complexity of the F1 influenced engine, but hell is it fast and makes a great sound! In terms of 'building your own engines in a shed' and there are a few I admire on this forum who do this, but is only a realistic option for a tiny proportion of people, to the point of 'is it relevant' to the predicament of an engine failure like GMG had? I can strip and rebuild MG and mini engines with basic tools, and often do, but a 996 engine??? Phew! Finally, I do not consider the rebuild costs from Hartech and other respected indies to be charging particularly high prices. It is the nature of the failure and the damage caused that determines the price. I think they are reasonable for the work that gets carried out, and GMG now has what I suspect most of us crave for, a 996 with an engine with repaired parts, presumably replaced bearing shells etc etc, that future proof this engine for a reliable 100k miles motoring!! It is good to see replacement short engines are available if the worst happens. Once opened up and subjected to close scrutiny my engine despite being given an 8.5 out of 10 by the specialist required an extensive and expensive list of replacement parts which being Porsche are all hugely expensive! So for the OP and other potential buyers...My rebuild cost is north of £15k thus close to the purchase price of the car. Mine was a 70k miles ,two owner, full Porsche history car! And now for sale at £23500 ! As my love has died and I shall put my money into something else ...an interesting old classic perhaps? Hmm. I used to frequent the clubGTI forum ten years ago, loads of stories of MK2 golf engines dying then. I had Corrado VR6, their bores wore out and all got piston slap. Did I mention 1.8T VAG engine oil sludging? How about 964 engines, were they without "foibles"....? Engines wear out. Random failures happen. You can expect an engine to pretty worn at 100k and 20 years. I'm not convinced the random failures are more prevalent in 996 than the standard deviation of all cars, maybe the owners shout about it because it cost them lots because the industry relieved them of it. But yes its true if your 996 engine fails it will apparently cost you £10k. A more common car you could just get an engine from a scrapper. But 50% of the reason to buy a 996 is the unique M96. It comes down to your attitude to risk. If you have a low tolerance stay the hell away from any 20 year old 100k mile car. Go and buy a new car - zero risk (for the warranty period). Used cars introduce more risk... 20 year old cars even more risk.... throw in Porsche repair costs and you need a healthy tolerance of risk to run one of these cars. Well thanks for your input then. It may not be a full representative sample but it’s a start at data gathering which may convert into useful information. You’d obviously rather stay in your “RMS / IMS ticking time bomb” echo chamber than contribute usable info. Good point though, yes let’s wait for the accurate data! Ah this must be the accurate data we’ve been waiting for!! This does somewhat depend on your interpretation of “a few”. As a percentage of the total number of engines made it probably could be considered as only a few. But anyway, you say it's “demonstrably inaccurate” – so you do have data to, er demonstrate this inaccuracy... please share it. With such solid info how is this not headline news?!? 3 owners, you say? I look forward to seeing ad prices plummeting now that word is out. Giles, it is a great shame that you've experienced a failure, and I genuinely do sympathise. It is great that the forum allows us to share experiences - good and bad, but your posts do now smack of scaremongering. The fact is some fail and some don’t. There are so many variables involved (cold starts, cold "thrashes", heat cycles, Tip vs Manual, grade of oil used, quality of oil, frequency of oil changes, the list goes on) that asserting that it's a case of "when" and not "if" is churlish. Who knows, your car with its full Porsche history may have prompted the mindset of its owner(s) of "I can thrash it as it's under warranty" followed by "this doesn't need any mechanical sympathy since it has full Porsche service history", or even "this is my pride and joy and I'll never take it over 3k rpm" so it's never experienced the higher rev ranges - who can say? Simply too many variables in the life of a 15 year old 70k mile engine. And as the old adage about poor service goes; if you have a good experience you may tell two or three people but if you have a bad one you’ll tell 10 or more. Funnily enough a little while ago a chap I know bought a 996 and loved it (but treated it appallingly) and experienced catastrophic engine failure and immediately told everyone how all 996's are the worst cars ever and the engines are rubbish. Understandably you are singing from the same hymn sheet as him. Good luck with your sale (although your sales pitch may need adjusting). ...hmmm, you are missing the point of my offerings; unlike many other engines the m96 can self destruct without warning and in complete contradiction to how it has been treated ,serviced and driven...and again unlike many other engines this engines configuration requires a complex and expensive repair...an AOS part at about £70 requires the best part of a £1000 to repair and offers no warning of failure and no preventive action can be taken...for example. A poll on here is about as useful as my musings quite frankly...and your offering to potential new purchasers who don't have sufficiently deep pockets to contend with the worst,should it ever happen, is even less helpful than my attempts to offer newbies at the very least an insight..
Fortunately I can afford the repair but many won't be able to...thus I would have hoped that my attempts to share a story of the real life pitfalls would have been seen as helpful. As I said before there are many businesses fixing these engines on a regular basis which if they weren't so fragile then such a market wouldn't exist, would it? It really is a shame that you picked the short straw with regards to your 996 despite pre purchase research but it would be helpful if you could put a post in the IMS thread otherwise it sqews the data towards an IMSB being even more of rare failure. Imagine if no one posted about the 3 997 failures then the general forum view would be that their engines are always reliable. Without your data in that thread you are giving credence to these engines being more reliable than they possibly are, imagine if one or two forum IMSB went pop next year then that would allow you to get your point across from a data perspective. If no one else has else has or reports an issue for a few years then opinion may swing the other way. The more data the better. Full Porsche service history means nothing - there are many items that Porsche don't consider service items so are neither checked or replaced and CAN and DO lead to failure. I've watched dozens of videos on the 996, large numbers of them checking the oil filter for metal fragments during a service and checking the oil in the drain pan. Do Porsche go to this level during their service? Also lots of people running high mile engines on extremely thin oils like the Mobil 1 0w-40 or 5w-50. As others have said - everyone likes to post in a forum when they have had or are having a problem - sometimes for help or to let others know. But generally people don't post to say "Hey guess what, nothing broke on my car today". The best data we have is from the US class action lawsuit against Porsche on IMS bearing failure. For a 996.2 3.6 IMS bearing has an estimated failure rate of 8-10%, for 3.4 996.1 failure rate was so low they were not included. Bore score: all 3.6 will do it eventually, the piston coating was not as robust as the 3.4 which is unaffected. Main bearing wear: They may or may not be shot at 100k miles. Some have seen even 300k miles on a 3.4. They will definitely be worn at 100k, but perhaps not worn out. I get oil analysis done each drop (£25) to see if theres any copper in it - a sign of worn out bearings. If not caught in time the crank could be lunched. an AOS part at about £70 requires the best part of a £1000 to repair and offers no warning of failure and no preventive action can be taken...for example. I changed my AOS, cost me £45 for the part and some faff whilst I had my gearbox off on my drive. I took my gearbox off in an afternoon on axle stands. If I can do it, any actual mechanic with a lift could do it in half the time. No need to spend near a grand! As a 996.1 owner sitting on 109K miles I`m currently contemplating a rebuild. Personally I would go with Hartech rather than a new Porsche short block and take the opportunity to go up to 3.7 with a much stronger and sorted rebuild, which would probably add a little to the cars value versus having a "replacement engine" from Porsche. To be honest anyone getting into 996 ownership without gaining any prior knowledge of the potential pitfalls can't really complain when something goes teets up. Just google 996 problems.....the web is full of it. buying one. Much better to some due some proper research beforehand and then decide whether it is worth the risk or not. Dependent on your relationship with your OPC you could expect a % discount. To be honest anyone getting into [insert any performance car built in the last 30 years] ownership without gaining any prior knowledge of the potential pitfalls can't really complain when something goes teets up. Just google [insert any performance car built in the last 30 years] problems.....the web is full of it. But you have a 3.4, your IMS bearing will likely be fine. Also you have ferrous coated pistons, your bores likely won't score prematurely. Your big end bearings will be worn, but worn out? who knows? It may well be good for 300k, totally dependent on your and previous owners treatment and a dash of luck. I monitor the oil for copper content, not foolproof but the best I can do. You will never beat the cost of doing as much as you can yourself and we do not discourage it and are perfectly happy to rebuild a bottom end with quality liners and larger ims bearing etc, or fit the top end - or do the whole job. We are however very wary of buying in a bottom end and fitting up all the auxiliaries so we seem responsible for all the parts in the whole rebuild because it can be difficult to identify the source of a fault without stripping and then if it is not our fault who pays? We also occasionally have problems after rebuilding an engine when the people responsible for fitting all the auxiliaries and getting it running do a poor job and then if something is not working properly everyone blames us because they don't want to pay for anything more having either paid out already for the rebuild or being the business that only made a small margin on the removal and replacement of the auxiliaries and/or the engine. I can honestly say that a fault that was something we missed is about as rare as hens teeth but the problem is always who pays to transport the car, who strips it to find who was at fault and who pays. 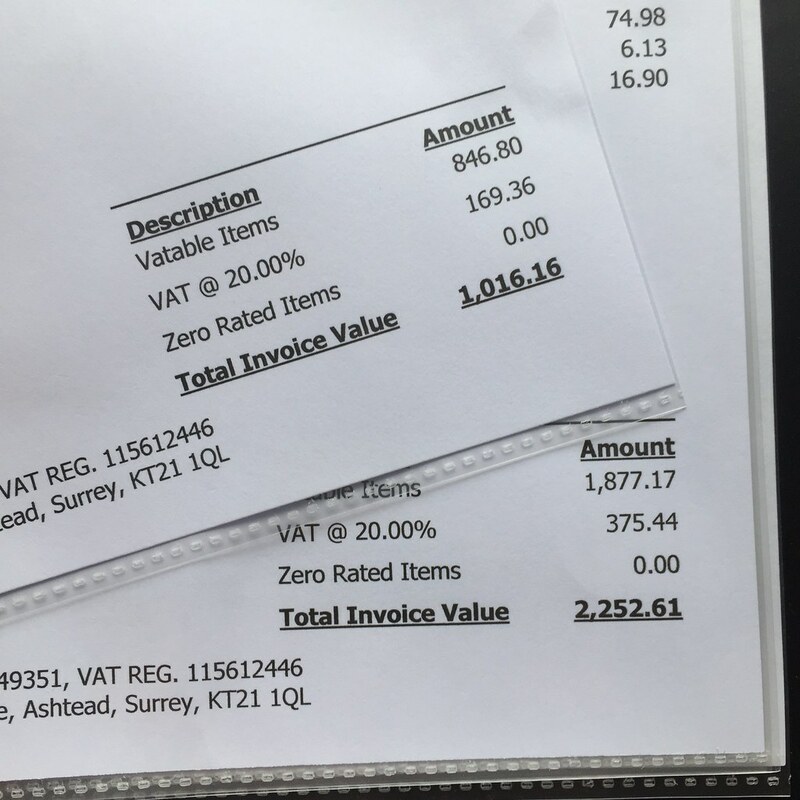 Although I notice that people are frequently quoting a cost of £10K now - that often includes Vat and several other parts that needed replacing or repairing that others may not have bothered to correct or identify and so it is always only fair to compare like for like. If you cannot do the job yourself or if you are paying elsewhere to take out the engine and reinstate it - you may be surprised to find our prices for the whole job (when compared like for like) little different and then you get the benefit of our experience and full warranty rather than potentially getting embroiled in arguments that could be impossible to prove without first deciding who is doing further work on the car. Doing almost an engine every day for several years now with all the best equipment in an organised flow process through dedicated rooms and trained staff makes it very easy to do and every time an unusual or common issue is found - our guys will always be checking for it next time - which eventually covers almost every possibility you can think of. One of the reasons we have developed the larger engine conversions is to try and give back an additional benefit for little extra cost. We also checked the current prices but were reluctant to post them or comparisons as there are always some people that will twist your intentions however - if you add the cost of removal, strip off the auxiliaries, refitting them and reinstating the engine etc with important additions that we may include, gaskets, seals, liquids, road tests etc you will not find much difference between our prices for the whole job and you then get the benefit of our warranty and experience (not to mention still the only all alloy Nikasil closed deck wet liner installations with years of success behind them).